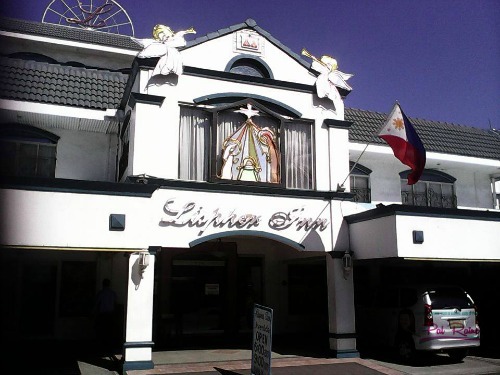 Experience a smooth-running Lispher Inn in Davao City. A historic home of the Borromeo, turn into a simple hotel or an inn, aglow with the patina of a restored antique, the luster of fine Spanish exterior and interior design and the sparkle of the modern furnitures, furnishing and fixtures. We got the privilege to meet the owner of Lispher Inn, Mr. Paul Borromeo. And relay to us a brief history of what is Lispher Inn all about. According to him, its started with his mother idea. When they out for vacation and visit other countries, her mother usually look for a family-budget inn that has great service. In other places, big houses turn in to a BED & BREAKFAST. A sort of a hybrid between luxury hotel and a private room. A B&B is usually a small establishment, it has up to 4 to 10 rooms. And his mother want this kind of a concept turning their ancestral house into a lodging inn but they want to give it with a twist. That is why in 1998 LISPHER INN was born. LISPHER is the acronym of their names. 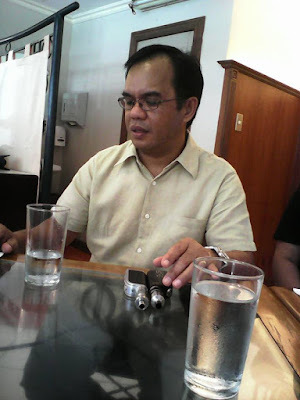 He did not divulge the names, but he assures us that it is the owner's name. Instead of having limited rooms from 26 rooms they have 41 rooms now, that is to cater the growing demand of their regular clients and incoming guests. Usually, their clients are business travelers, tourists and families. BTW, they are the only Inn here in Davao does not allowed instant spouses ( you know what I mean here). 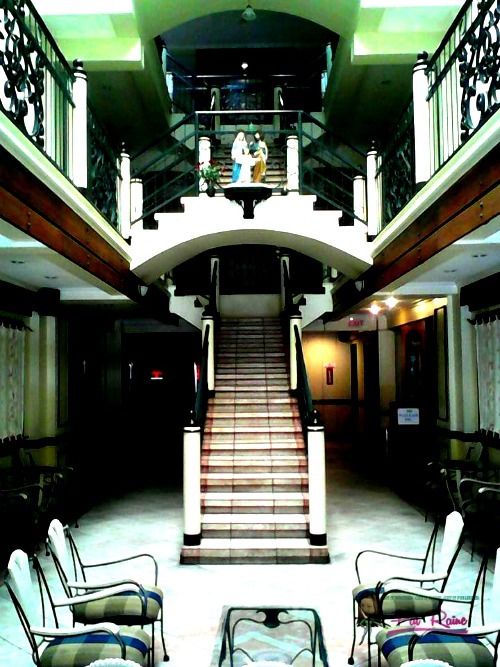 Upon entering, you will see a sign from their front desk, "INSTANT SPOUSE NOT ALLOWED". Imagine a place wherein you get the comfort, security and having that feeling when you arrive you are just at your own home away from home. Family Room - it has 2 single beds with 2 pull-out beds, refrigerator, and kitchen area. Jr. Family Room - it has 1 matrimonial bed with 1 pull-out bed, refrigerator, and kitchen area. Deluxe - with twin-sharing beds, refrigerator and wider space. Regular - this room is available with twin-sharing bed or matrimonial bed. Function Rooms are fully equipped of audio and video facilities, it is design for flexibility and privacy. 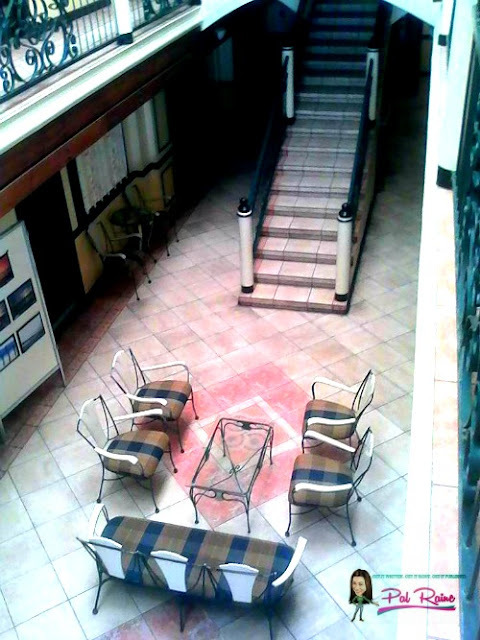 The rooms can accommodate 5 to 100 persons. Actually, your stay at Lispher Inn is not just simple, but very affordable. It's perfectly located in a not congested place, for guests who want to relax and retreat this is the exact haven for you. You are welcome to visit our city Lizelle. Thanks. Oho. 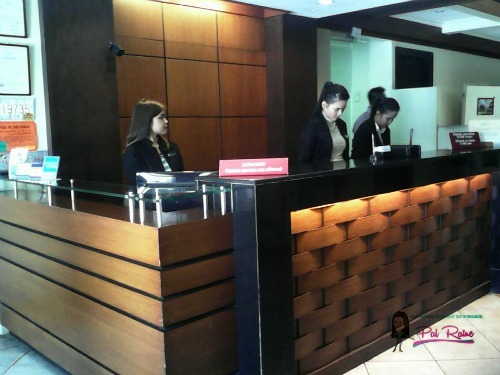 A cheap room accommodation in Davao. I am in search of these kinds of Inn in different tourist destination because I am planning to travel all the way this 2016. Thanks for sharing! A very affordable accommodation but has all the amenities you need. Wow! How many mins or hours is this from the airport? They don't have a pool +LeeRosales, but I assure you ...you will have a great day here. From airport, the total DRIVING distance traveled is 13 Km., about 30mins more or less. The rooms seem elegant.. And somehow homey. I love the simplicity of the place. I don't like hotels that have too much decor, I prefer something like this. It's so easy on the eyes and clean looking too! I like that they have function rooms that can cover from 20 to 100 people. 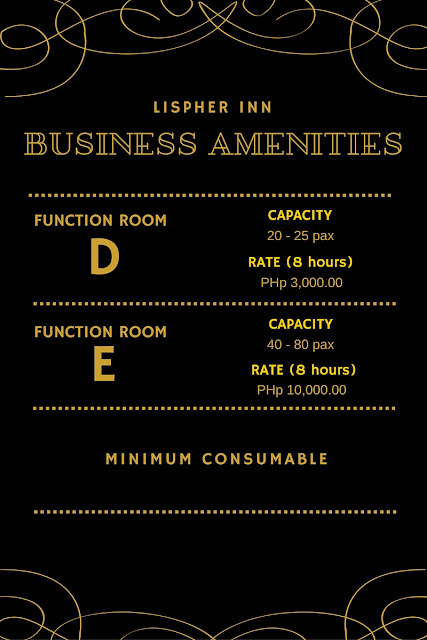 This is a great inn to stay in for those traveling to Davao for business, teambuilding, or just family vacations. Place looks great! 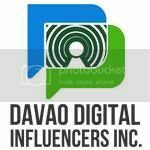 I've never been to Davao before but I always wanted to. Thanks for sharing. Looks like a great place worth checking out. This place looks comfy and relaxing. Good to go here and enjoy some time. Thanks for the detailed post. Their rates are not bad at all. The function rooms are also pretty impressive. I have a question though, what if you're travelling with your significant other? Is that alright? That does not fall under instant spouse right? 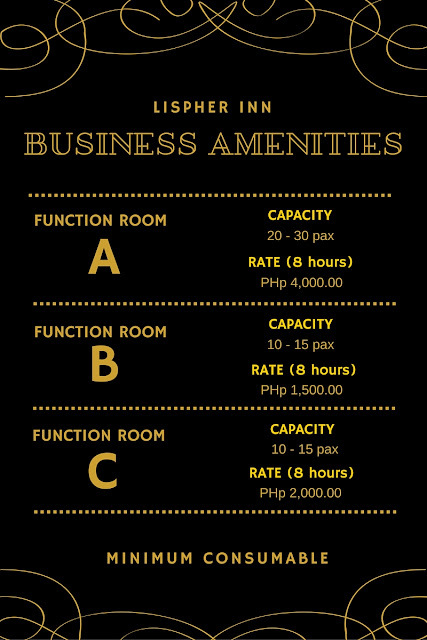 The Lispher Inn looks decent with some basic facilities. And their prize also reasonable and also suitable for small group training or workshop. 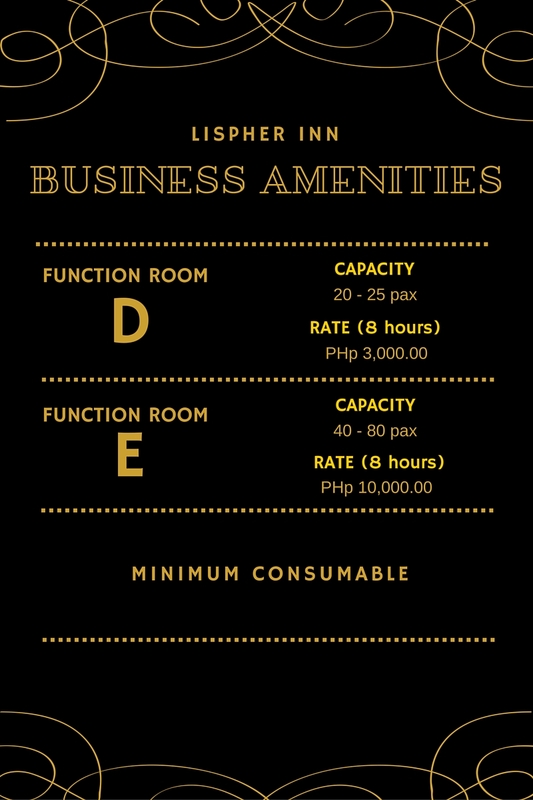 The rates is quite affordable for the rooms offered! Looks really clean, simple and comfy with basic essentials needed for both local and foreign travelers. I love rooms with kitchen area. We're visiting Davao this summer with our 2 year old son. And this is just perfect for a 2 night stay. 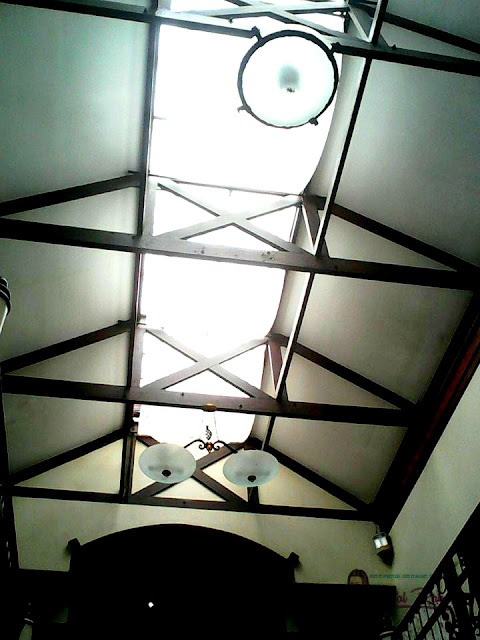 This is quite an affordable accomodation and that too with all the facilities you need. Really helpful while visiting the place. This looks like a simple, classy Inn. I would love to visit! Thank you for sharing. Even if the outside does not look too attractive, the inside looks great. With its reasonable price, I think this is a viable option for those going to Davao. Thanks for informing us about this hotel. The place looks great with an affordable price actually.Good place to visit for.Thanks you for this share. erm, i actually have no idea what instant spouses mean. is it prostitution? anyway the rooms look cosy and nice! The hotel looks elegant actually especially the rooms. The place looks fine and budget friendly! The restaurant looks very good infact! They do have a nice dining area and function room. Their room rates are reasonable and could be perfect for the family. That pink / red patch on the floor looks a little scary! But I like how you show the price list clearly and everything is not hidden! The rooms are quite spacious and the rate is budget friendly for family of 4.